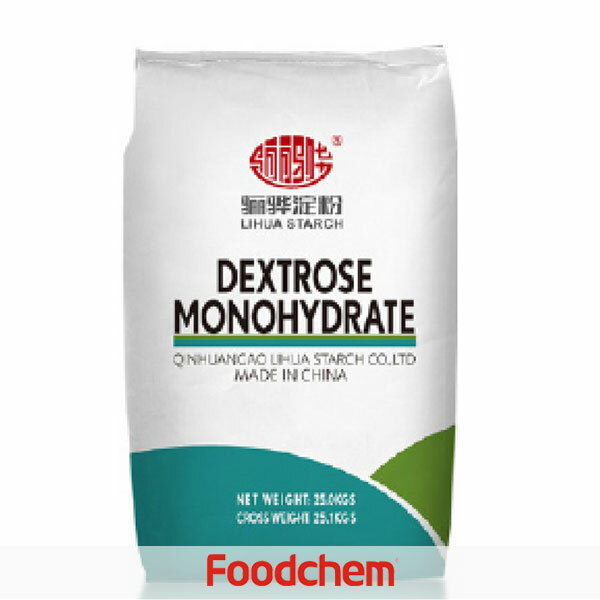 Dextrose Monohydrate (food grade) is one of the popular food additives and ingredients in most countries, As a professional Dextrose Monohydrate (food grade) supplier and manufacturer, Foodchem International Corporation has been supplying and exporting Dextrose Monohydrate (food grade) from China for almost 10 years, please be assured to buy Dextrose Monohydrate (food grade) at Foodchem. Any inquiries and problems please feel free to send emails to us via sales@foodchem.cn, we will reply you within 1 working day. Dextrose mono(Dextrose Monohydrate) is a kind of white hexagonal crystal which used starch as the raw materials. After Corn Starch being transformed into dextrose syrup by adopting double enzyme technique, it still needs processes such as removing residues, discoloring, removing salts through ion-exchange, then further through concentration, crystallization, dehydration, packing, ect. Dextrose Monohydrate is a kind of white hexagonal crystal which used starch as the raw materials. It is used as a sweetener. After Corn Starch being transformed into dextrose syrup by adopting double enzyme technique, it still needs processes such as removing residues, discoloring, removing salts through ion-exchange, then further through concentration,crystallization, dehydration, abstersion, evaporation, ect. 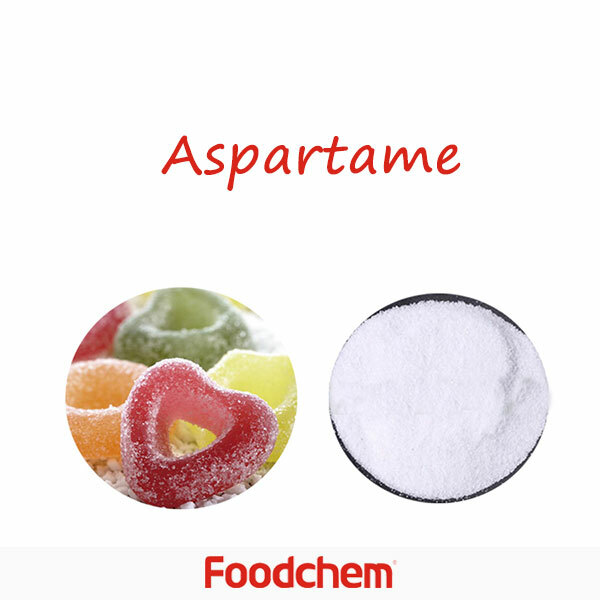 Dextrose of food grade is widely used in all kinds of foods and beverages replacing sucrose as sweeter and as the raw materials in pharmaceutical factory to produce Vitamin C and sorbitol,etc. Foodchem is an ISO2008 9001 certified company, as for Dextrose Monohydrate (food grade), we can offer HAPPC, KOSHER, HALAL Certificates, ect. 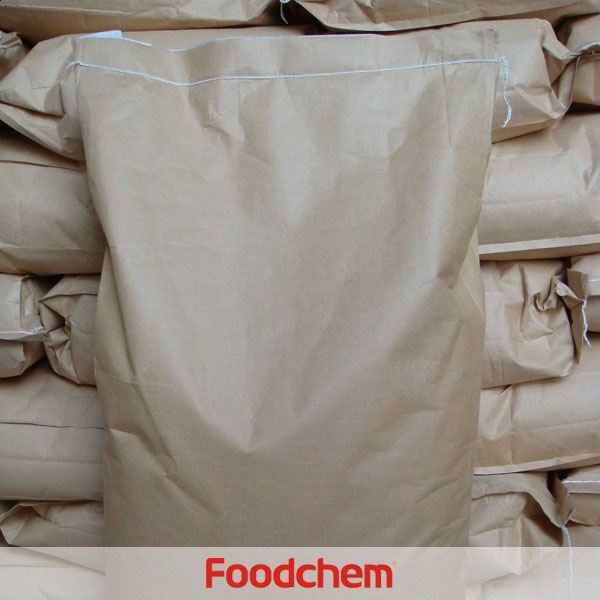 Foodchem is both manufacturer and trading company, we are Dextrose Monohydrate (food grade) distributor, at the same time, we are manufacturer of other products. 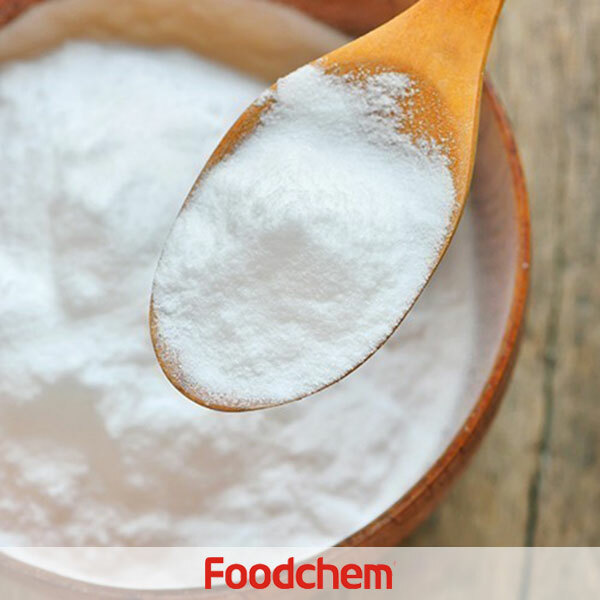 Foodchem is a famous supplier and manufacturer of Dextrose Monohydrate (food grade) in China, and has been corporate with many Dextrose Monohydrate (food grade) suppliers for several years, we can provide you with cost-effective Dextrose Monohydrate (food grade). HosseinQ : Do you have Dextrose Mono Hydrate?Amount: 2 container. 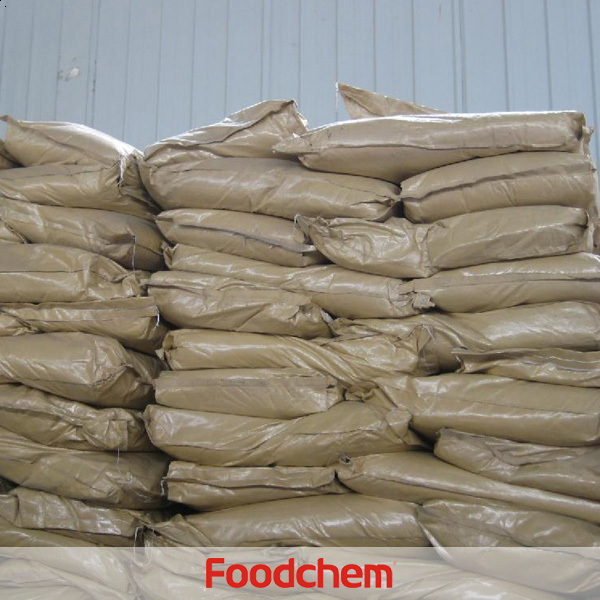 FOODCHEM A : Thanks for your inquiry, and very glad to inform you that we are able to supply. YUSUKE KISHIMOTOQ : Hello, can you provide Dextrose Monohydrate feed grade? 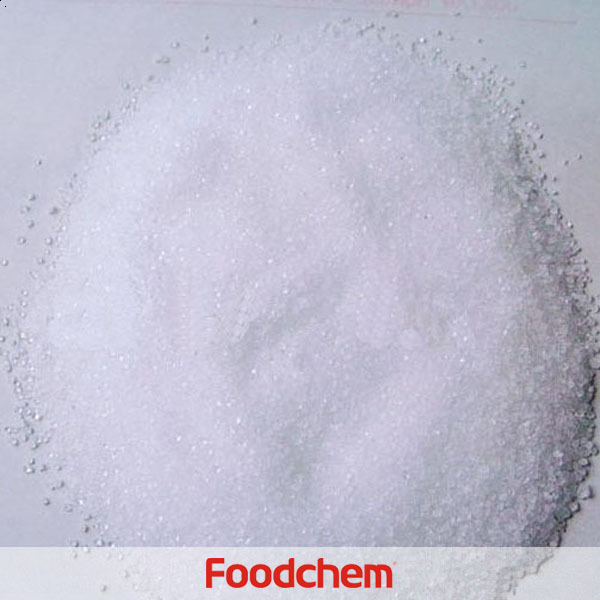 FOODCHEM A : Yes, we are able to provide dextrose monohydrate feed grade, food grade, and injection grade. Masoud Kabiry Q : What is the min order of dextrose monoydrate, in which package? 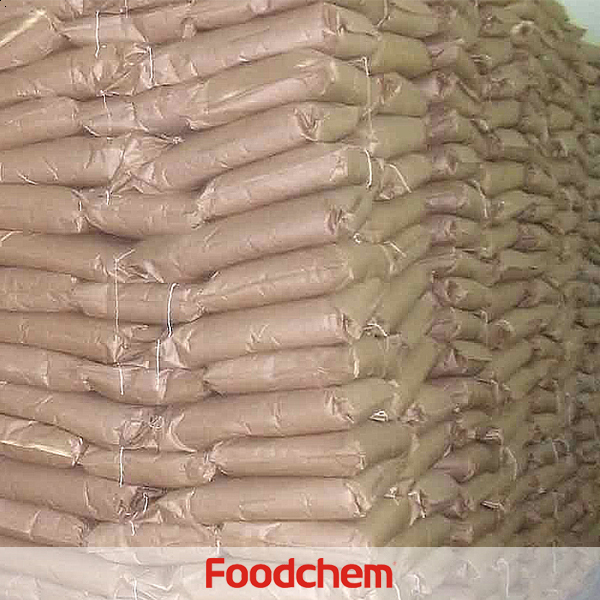 FOODCHEM A : Hello,glad to serve you,our min order of Dextrose Monohydrate food grade is 10 metric tons,usually pacakged in 25 KG/BAGS or according to clients' request. JACK KALFAIANQ : hi there,i want to konw how many kind of Dextrose Monohydrate u have? 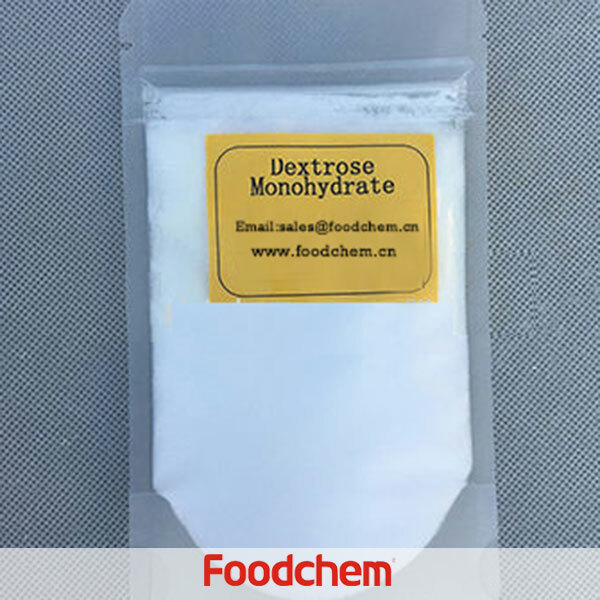 FOODCHEM A : Well,we have dextrose monodydrate food grade and injection grade. Zaw Min NaingQ : please let us know, what certificates including Manufacturing License of your company can be provided us for Dextrose Monohydrate.